Chittagong, Feb 1 (Just News): Bangladesh have bowled out for 513 runs landmark with the rich effort of Mahmudullah Riyad. 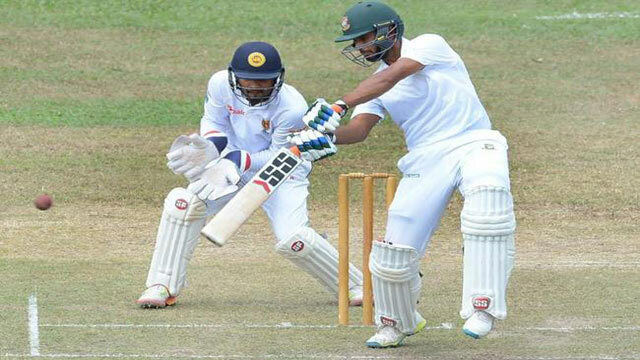 Mahmudullah, the sudden Test Skipper of Bangladesh team, also gets his 15th Test fifty against Sri Lanka in Chittagong Test on day 2 on Thursday. It is the first fifty for this cool headed man as captain. Mahmudullah has got the captaincy after missed out of Shakib Al Hasan for his injury during tri-nation final match against Sri Lanka recently.